Let’s face it – the success of your lead magnet (and your entire lead generation efforts) greatly depends on whether visitors can notice your calls to action. … it will still fail miserably if no one spots, and acts on its call to action. And in this post, I’m going to help you overcome just that. 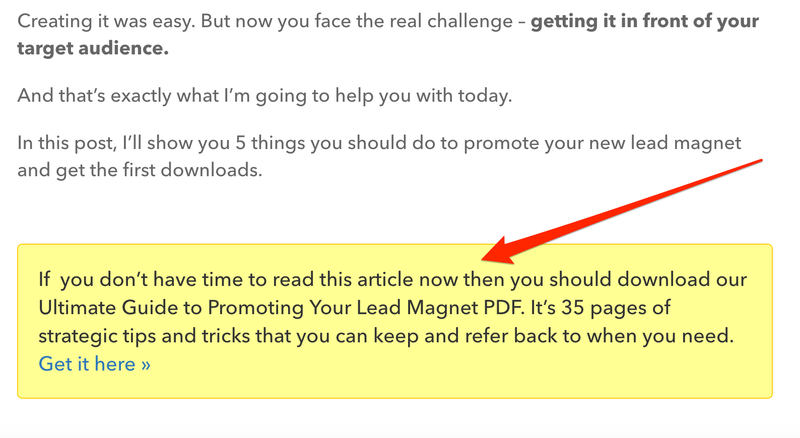 I’ll show you 3 super-simple ways to ensure your lead magnet call to action will truly stand out on a page. And what’s great about them is that they don’t require any hard work or special skills to implement. Intrigued what they are? Then let’s get cracking. Look, I’m sure you do it too – since you know where websites typically place their ads or other calls to action (CTAs), you avoid looking at those areas. Take sidebar, for example. Pretty much everyone these days packs it with calls to action, ads, and other elements that are supposed to grab your attention. The result? You ignore it. Of course, our sidebar CTA simply might not be engaging enough. However, I think a behavior known as the banner blindness plays a role in those poor results too. 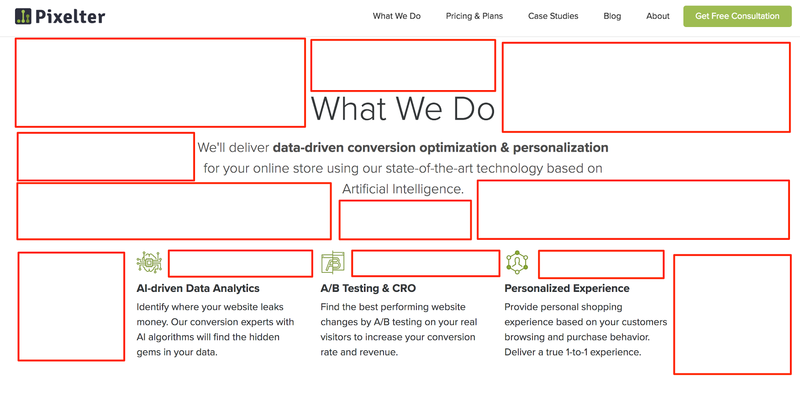 Banner blindness describes phenomena in which we choose to overlook or ignore any advertising on a page. Only 14% of Internet users remember the last ad they saw. Only 8% can actually recall the company or product it advertised. And less than 3% considered the ad relevant. But it also makes it clear why visitors don’t click our calls to action in the sidebar, for example. They simply don’t see them! Luckily, the solution to this problem is simple – you just have to change where you place your CTAs. 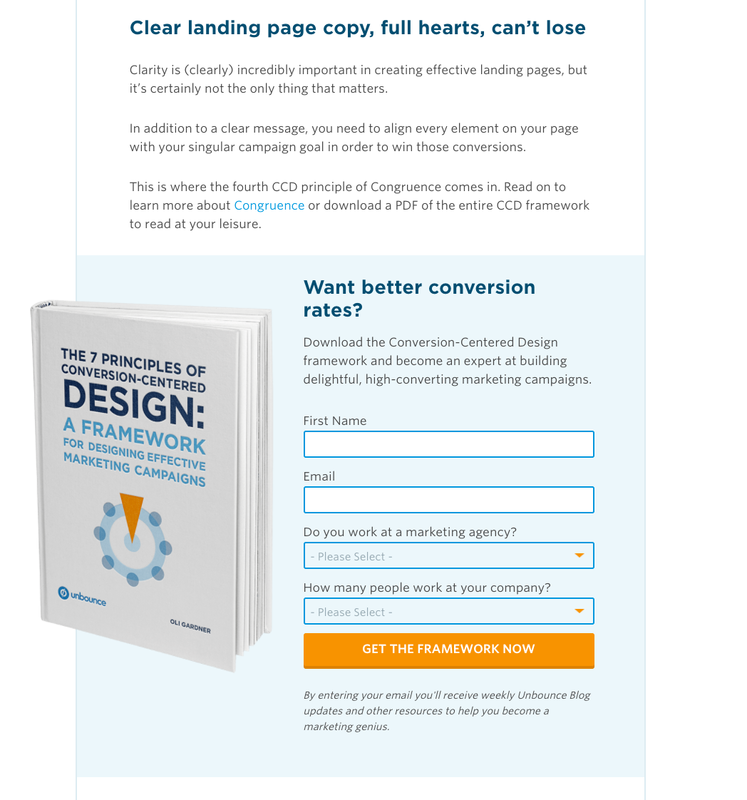 For example, one of the best converting CTAs on our site is a slide-in. This small call to action appears on a page after a user has engaged with the content for long enough (in our case, it’s scrolling past 40% of the page). Once they’ve reached that point, the call to action slides in on the side of the screen, immediately attracting attention. Another unusual placement is inside the content itself. Most readers will not expect a call to action within the text of an article. And so, they’ll be more likely to spot it. 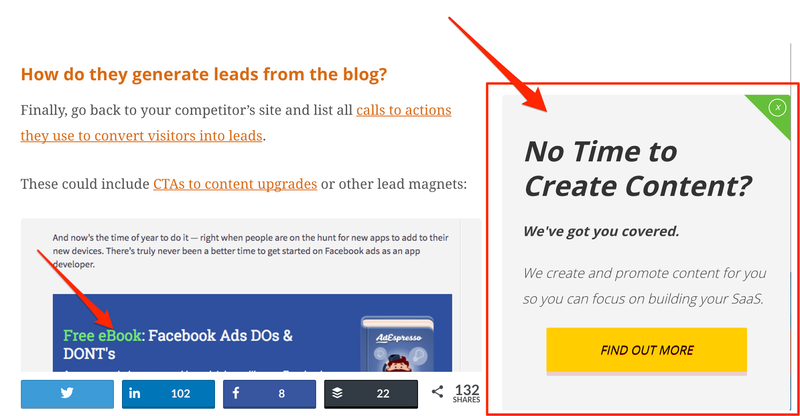 However, you could also create a proper CTA that would even allow visitors sign up for the lead magnet from right inside your blog post. For example, here’s a bold (and huge!) 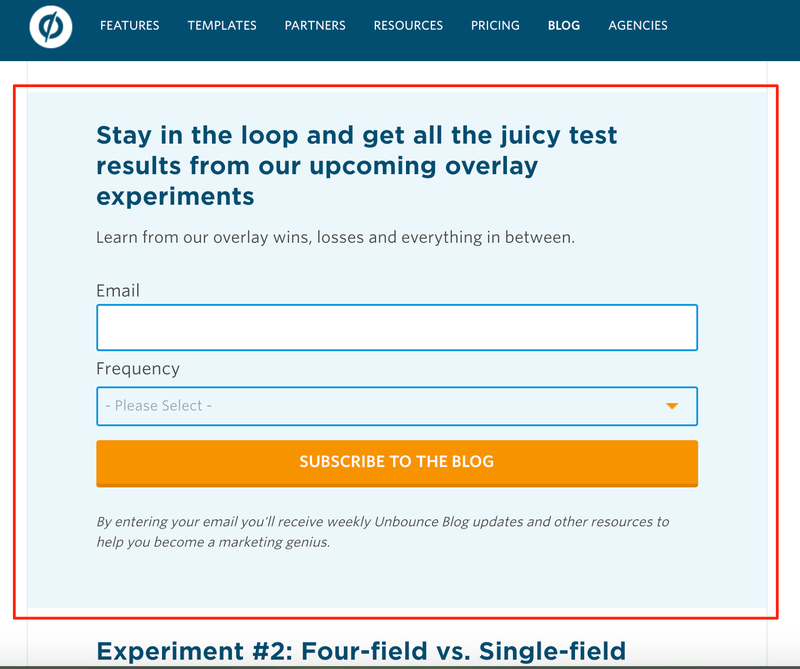 CTA Unbounce places inside their blog posts. Note that the CTA includes the form, reducing the number of steps a person needs to take to sign up. A couple of lines above I hinted at how huge is the Unbounce’s call to action. And it is. Believe me. It’s so big that I could hardly fit it in the screenshot. But here’s the catch – that’s exactly what makes it so noticeable. I don’t think anyone could scroll past it without at least spotting it. Increasing the size is another way to make a CTA impossible to miss. But there are more, for example, using unusual shapes for buttons and other elements. Notice something unusual? Yup, instead of an image of the cover, it features a 3D representation of the lead magnet. The 3D cover makes the CTA immediately stand out on a page, and provides a focal point for a reader scrolling down the page. Note – if you’re a Beacon user, soon, you’ll be able to create similar 3D covers for your lead magnets. And if you’re not familiar with Beacon yet, you can check it out here. Drop your CTA in the middle of a busy page, and it will simply drown in the noise. But leave whitespace around it, and you’ll create an unmissable call to action. If you’re not familiar with the concept of whitespace, let’s go over it really quickly. Whitespace is a design term, referring to a negative, empty space around the object. Note, in spite of what the name might suggest, it doesn’t actually have to be filled with white color. But I admit, it might be hard to identify all the whitespace, if you’ve never done it before. So here’s the same screenshot again with all whitespace marked with red rectangles. 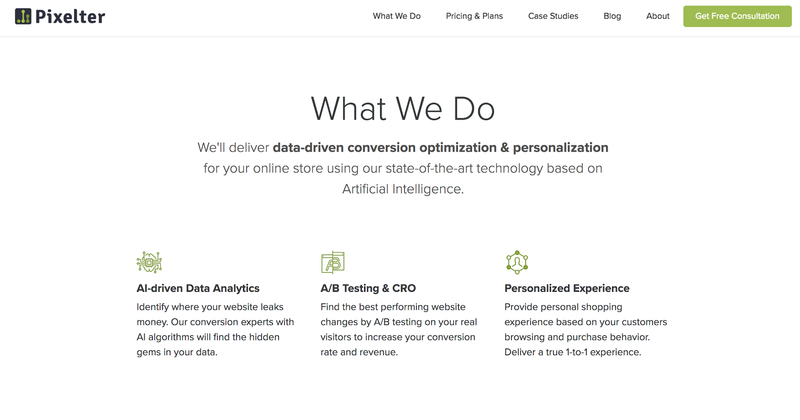 The whitespace allows a visitor to quickly notice and distinguish all elements on this busy page. Just image how cluttered that page would look like without the whitespace. 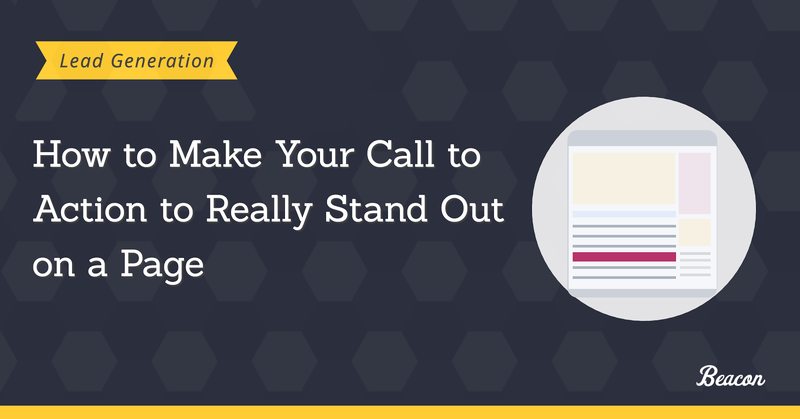 The same rule applies to calls to action, particularly if you place them in busy areas on a page. If you surround them with too many elements, they’ll simply disappear in the noise. By simply moving those elements a bit away, you’ll immediately make your CTA easier to spot.